Action would be taken against the publishers in case any photographs of women appear in either the print or visual media, added the Court. 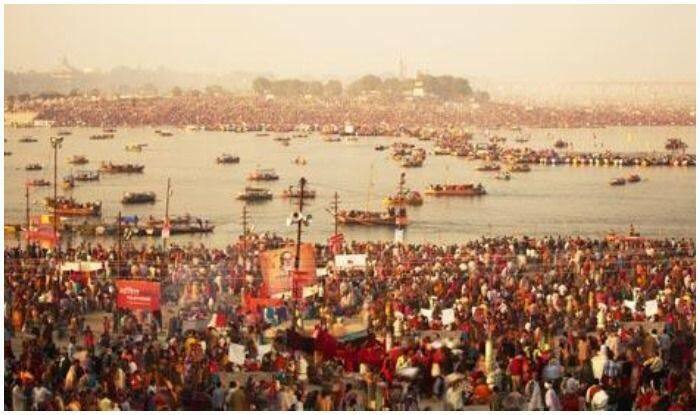 Prayagraj: The Allahabad High Court on Saturday directed that no photographs of women bathing or taking a holy dip at the Kumbh Mela site in Prayagraj to be published, news agency ANI reported. The apex court warned of action if the order is violated. The pictures will not be published in either the print or visual media, added the court. A senior superintendent of police (Kumbh) directed the policemen and other security personnel in the Kumbh Mela premises to ensure that no one clicks pictures at the bathing ghats. A senior official added that notice boards were set up with the warning of the High Court’s directive on the photography ban imposed at certain areas. An additional Kumbh Mela officer told IANS that the ban includes photojournalists, media persons and also electronic media journalists who will now not be allowed to film the bathing. Allahabad Divisional Commissioner Devesh Chaturvedi, the senior-most official overseeing the Kumbh, confirmed to IANS that the Mela administration had indeed banned photography at bathing ghats. The order had reportedly disappointed a lot of photo-journalists who were waiting to capture the momentous bathing scenes at the ghats. The Kumbh Mela, which is conducted after every six years, began on January 15, 2019, in Prayagraj, Uttar Pradesh. The event, which is set to conclude on March 4, comes under the list of ‘intangible cultural heritage of humanity.’ The total funds allocated by the state government for the Kumbh Mela is Rs 4,200 crore, which is more than three times the budget of the Maha Kumbh in 2013, making the mega pilgrimage perhaps the costliest ever.